How often do we hear this cliché whenever a leading Brexiteer gets on their pulpit to promise free-trade nirvana? But it’s worth considering what all this “bureacracy and red tape” really means for the ordinary person on the street, the person in whose name we are supposed to be leaving the European Union. Britain already has one of the most de-regulated economies in the world so one really needs to look behind the lazy soundbites and think about who stands to gain from the gutting of the UK’s regulatory framework. Brexiteers don’t want to admit to the crucial role played by the EU’s institutions in protecting its citizens from the failures of self-regulating markets. But how many times in recent years have we seen the ruinous consequences of big business gaining the upper hand over so-called ‘big government’? In healthcare, weak oversight of drugs and medicines leads to patient harm, even death. Loose regulation of manufactured materials and components results in electrical goods with dangerous components or products made from toxic substances. In food production, an absence of hygiene controls can cause nationwide illness. When building and construction legislation is weakened, people are burned alive. Removing air pollution controls impacts the lives of millions. There are regulations for drinking water quality standards, the cleanliness of treated sewage and beaches because without them, we would be in the same position as Flint, Michigan, and our coastlines would be an eyesore. And then there’s the biggest free-market hell-hole of them all, the deregulation of financial markets, where lax rules and poor institutional oversight bequeathed the 2008 crisis and all the ruin that followed. The cost of bureacracy is generally far, far less than the bill for clearing up the mess left when red tape is eliminated and market forces are left to their own devices. And yet where is the clawback? Too often it seems that when the polluter pollutes, they keep their spoils while the public pays the cost. And even where the UK proposes to retain some degree of govermental oversight, post-Brexit, for example, by having its own medicines agency, we are replacing a body whose funding is shared between twenty eight countries with a UK-version whose costs we will bear all by ourselves. Lean and mean or cash-strapped and corner-cutting? You be the judge of how it normally goes. EU red tape – red tape of any description – may deprive producers of the ability to make products however they wish. But it also ensures that planes are safe to fly, cars and trucks adhere to fuel emission and efficiency targets, mattresses don’t catch fire and cosmetics won’t burn your skin. It is the EU that is seeking to protect your privacy rights online via GDPR legislation from the companies, like Google or Facebook that do everything legally possible to avoid paying tax in this country. Do you think multi-nationals will be held more accountable in a country run by Ayn Rand disciples? As we have seen throughout the last two years, the British way is sometimes to shrug wearily and just “get on with it” in the hope of something turning up. This won’t be a sensible strategy here. When free-market ultras, like Lord Tebbit, Lord Lawson, John Redwood or Daniel Hannan complain about “red tape” they are moaning about something that prevents producers and polluters from doing whatever they like, irrespective of its impact upon others. 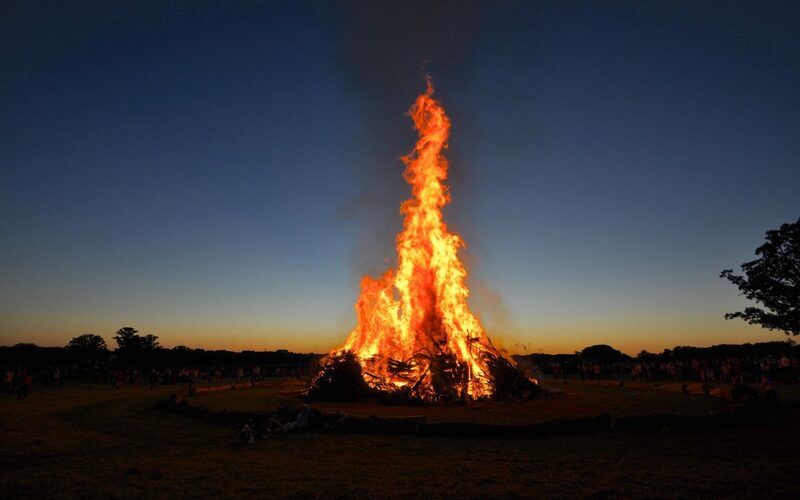 The only bonfire we should be contemplating is the one of their vanities and seeking to strengthen the EU from within.